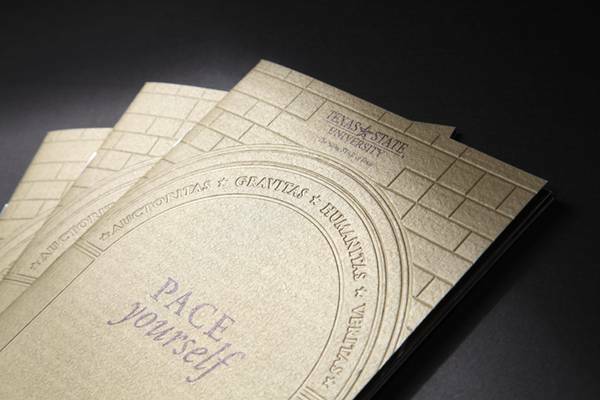 The effectiveness of a business booklet depends on its design. 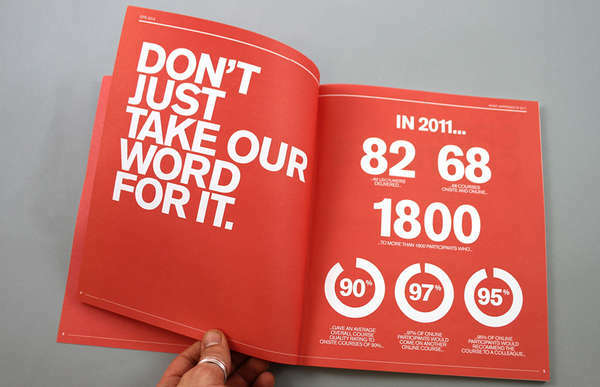 The use of colors, images, text, and spacing contributes to the impact of the booklets and determines how people will react to them. Will they take a copy from the shelves? Will the booklets be read or will they be stored at one place and never to be opened again? 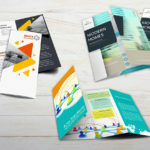 We have featured outstanding booklet designs almost a year ago for your inspiration. 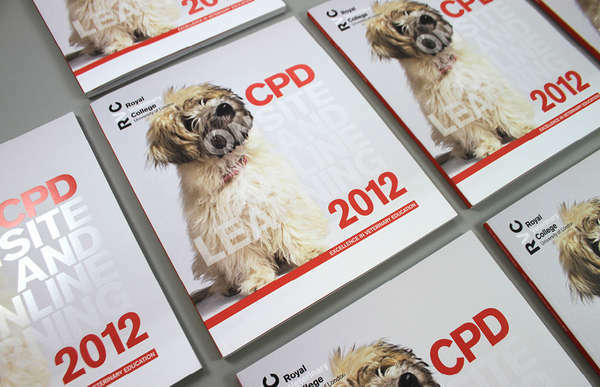 However, the New Year calls for new styles and concepts for your booklet design. 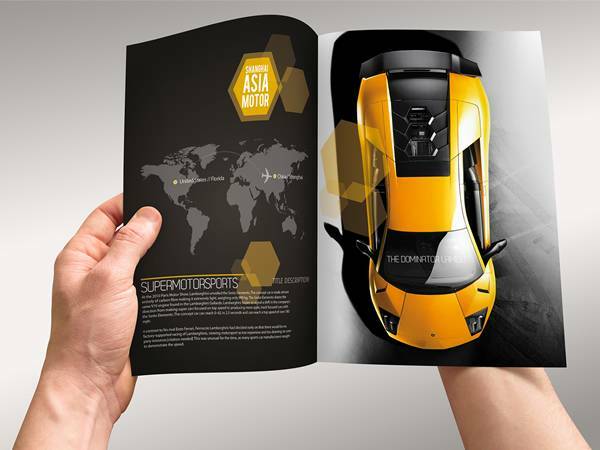 Below are some of the most recent booklet designs that boast the branding appropriate for their respective industries. 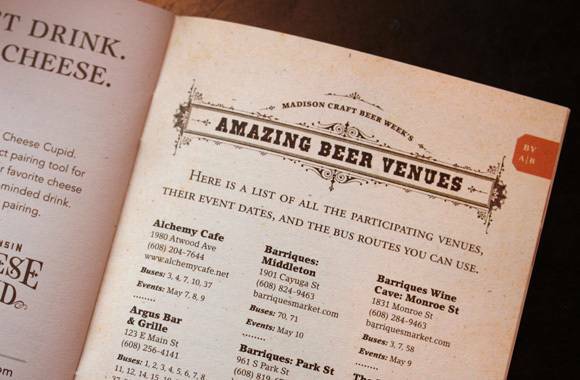 Madison Craft Beer Week celebrates the culture of craft beer brewing in the Madison area. 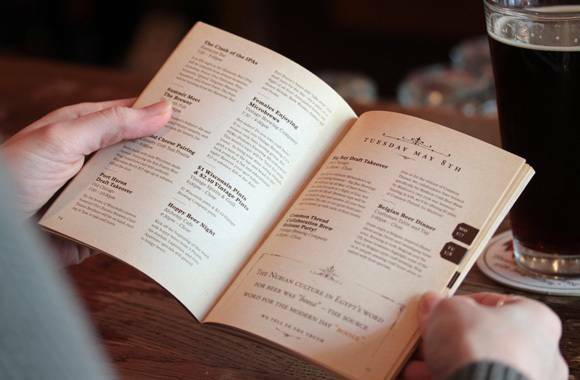 To accommodate visitors to this beer-filled event, a brochure of the field guide was handed out. 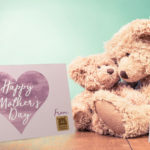 Although the brochure is text-heavy, the typography and the spacing in between text prevented it from being difficult to read. The subtle humor and homage to the bootlegging during the Jazz Age add to the beauty of the brochure. The Festival del Baccalà 2012 in Italy is a competition among local restaurants on how they intend to interpret baccalà, or codfish, as a dish. 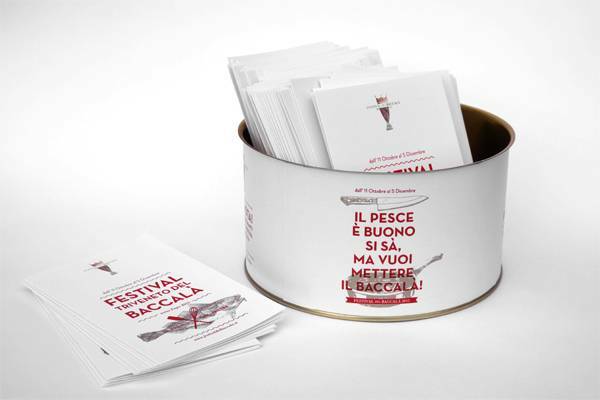 Staying true to how codfishes are stored and consumed, the brochure for the festival are stored a inside metal can. 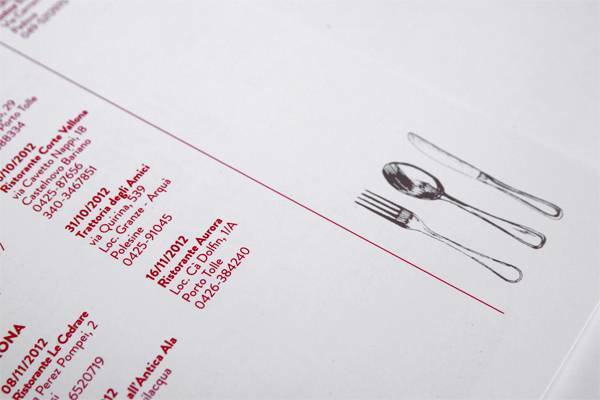 Empty spaces are used to direct readers to the important details of the event, which complement the minimalist approach to the brochure’s design. Luxury automobile manufacturer Lamborghini has released a new model named DominatorX. 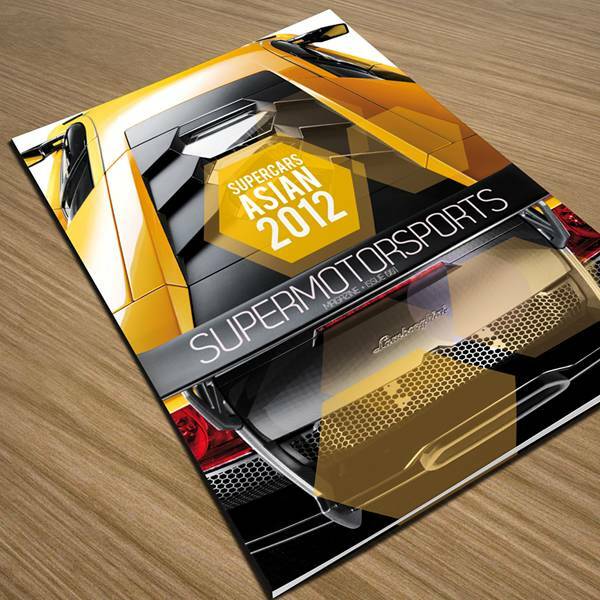 The sleek design and interiors of the sports car are perfectly captured by the sleek appearance of the Supercars Asia 2012 brochure. Unlike the aforementioned brochures,the images do the talking, and justifiably so. 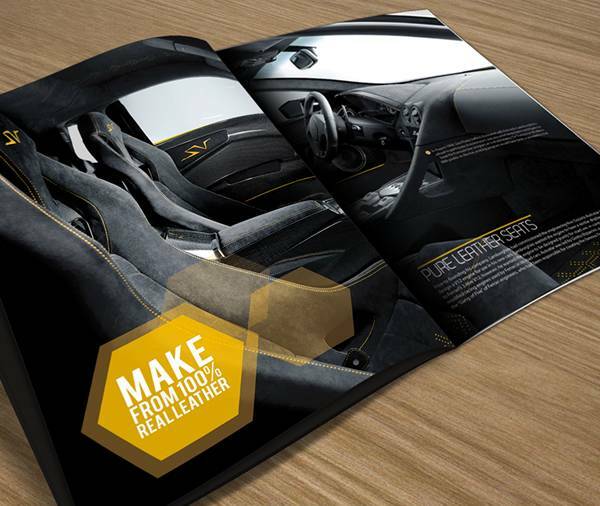 The high-resolution photographs of the car shot in different angles grab the attention of readers on every page with the text providing only a brief description for each image. PACE, which stands for Personal Academic and Career Exploration, is a program offered to the freshmen of the Texas State University to evaluate their academic direction in line with their future goals as professionals. The gold foil cover, which resembles an entrance, is a perfect metaphor to the beginning of a journey that will determine their future. S outh Australia’s State Theatre Company is known for producing a year’s worth of classic and contemporary Australian theatre to the public. 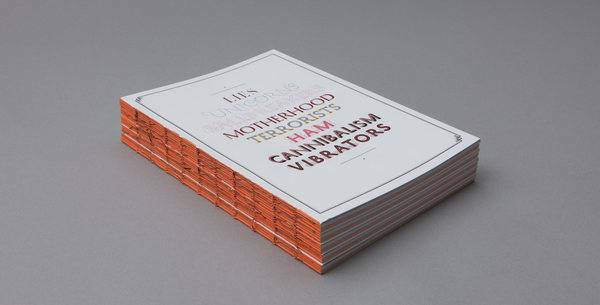 They have sent out booklets early this year that reflect their dedication to their craft . 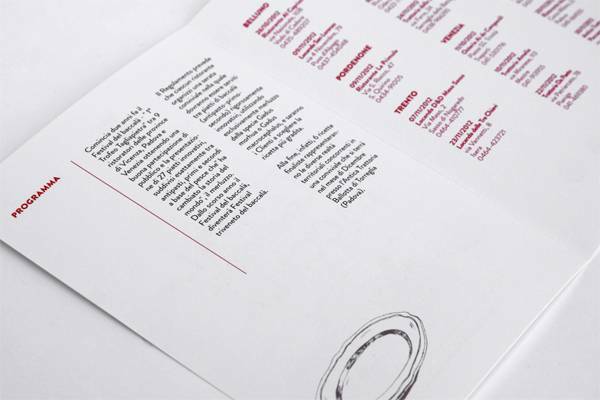 The brochures give recipients of what’s to come in 2012 by featuring the eight upcoming plays to be performed for the year. 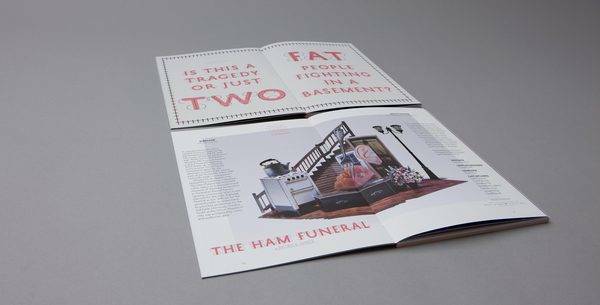 Aside from the smart use of typography and layout, each play shown is represented by a three-dimensional collage, which indicates how plays should be seen – in a live environment – as opposed to the two-dimensional pages of a print material. 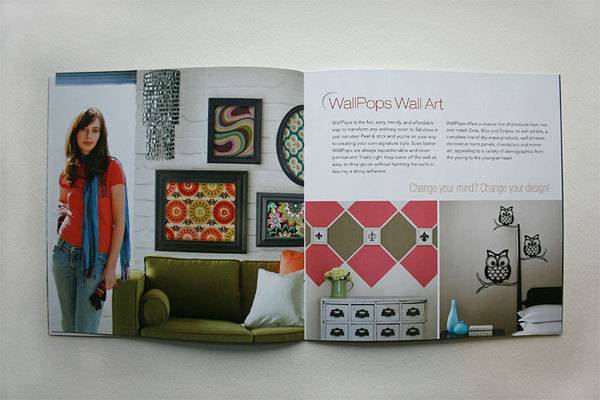 Brewster Wall Fashions started out distributing wallpapers in the US since 1935. Decades have passed and the company has become a globally recognized brand for elegant wallpapers and wall decor. 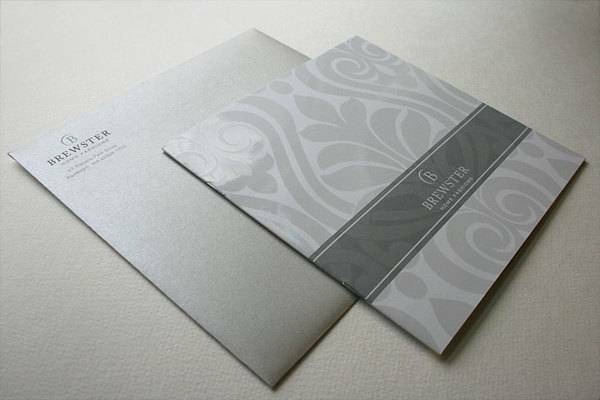 The booklet cover design and envelope capture the sophistication and class that they display on their wall designs, thus matching their brand. 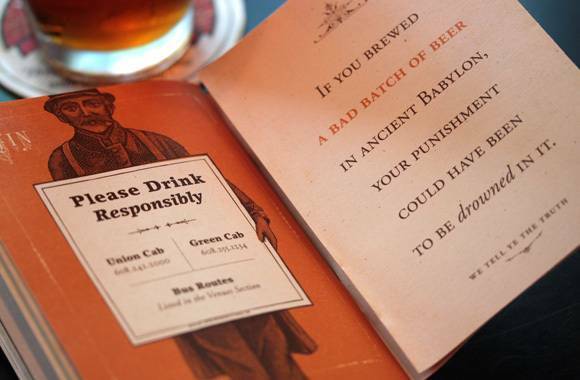 Another brewery with a well-designed booklet is Atlanta’s SweetWater. 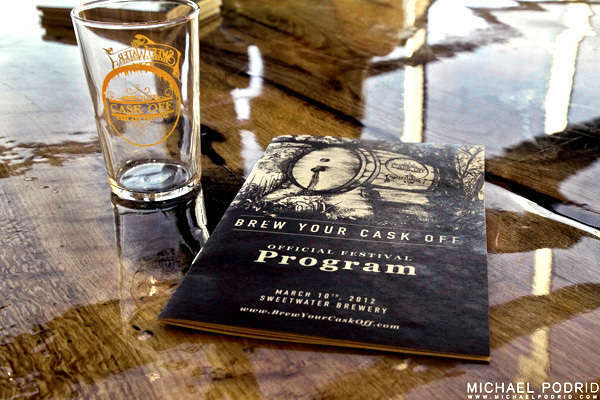 The makers of premium craft beer hold an annual Brew Your Cask Off to invite groups and organizations to try out their brewed products. 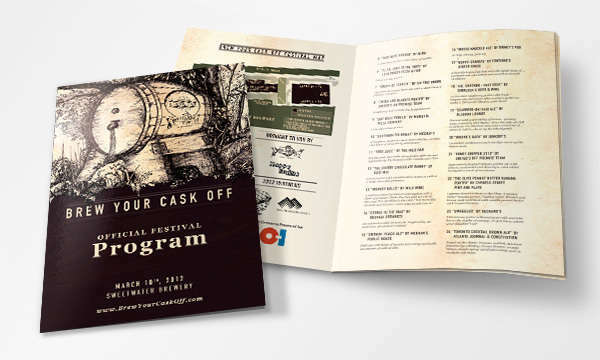 The booklets sent out during the event boast hand-crafted style to illustrate how each beer is brewed with care. 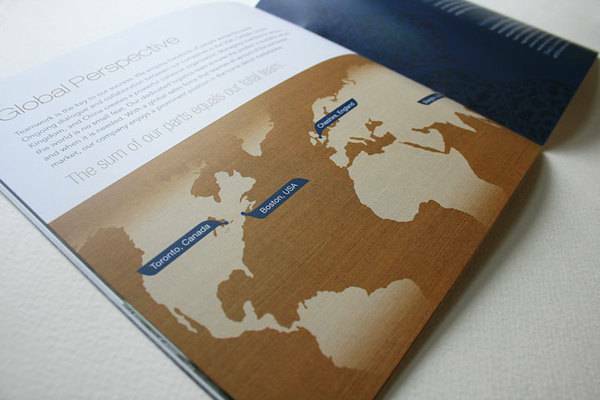 The booklet receives style points for its use of limited color choices, which help create a rustic appearance. Oftentimes, the simplest of designs happens to be the most striking. 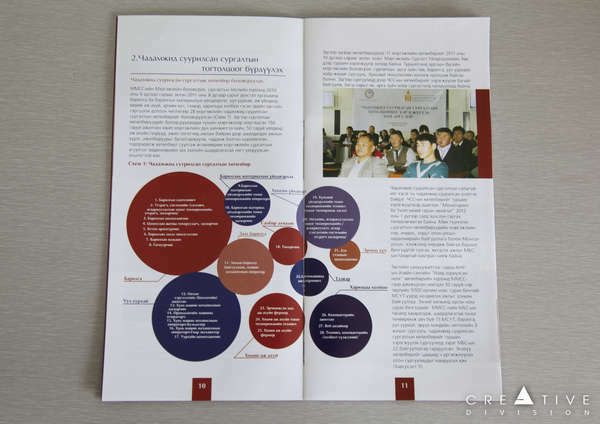 Such is the case with the Mongolia booklet design for the Millennium Challenge Account. 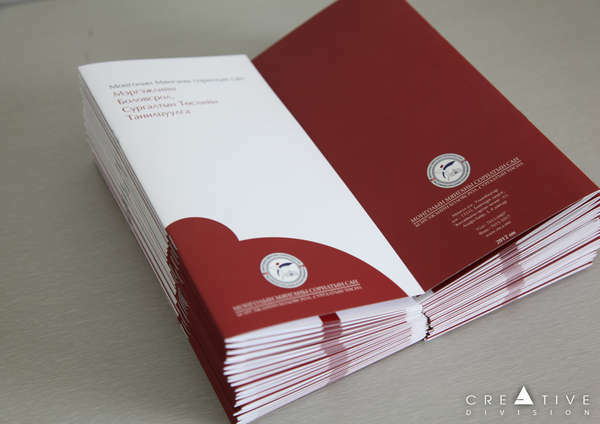 The interplay between white and maroon as booklet theme has produced a surprisingly clean and crisp design. 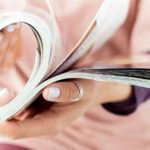 The use of images and shapes help cut down the blocks of text, making the information easier to digest. The Royal Veterinary College is one of the world’s most well-known veterinary institution worldwide. 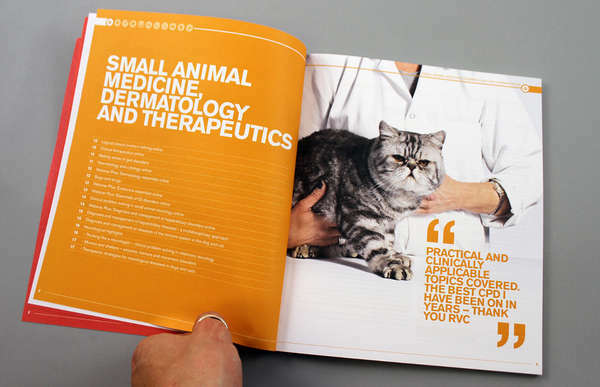 As a way to inform applicants about their academic program, the Royal Veterinary College booklet is designed with large images and texts. 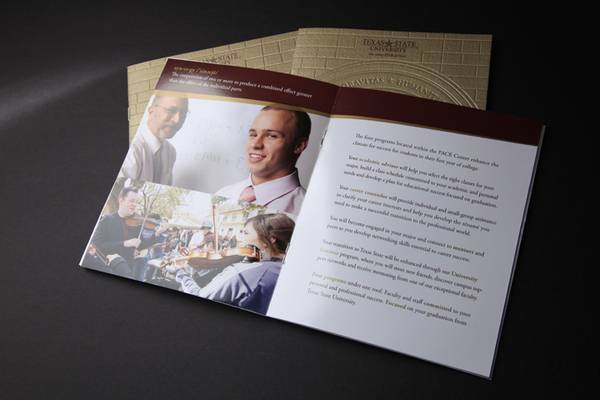 This is to not only maximize the space on each page, but also convey a clear message about their program. 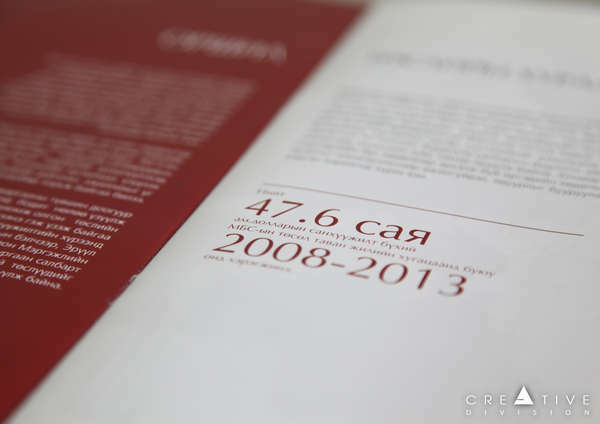 The booklet even supplies statistics and facts to encourage more people to join their program. 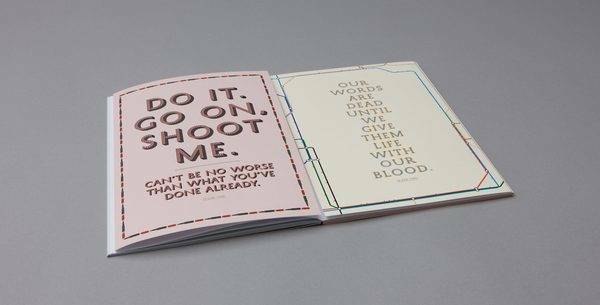 What do you think of the booklet designs featured above? Did we miss out on other great booklet designs? Let us know by commenting below!